More Apps Bot Square, Inc.
Is there a better alternative to Flutter? Is Flutter really the best app in Video category? 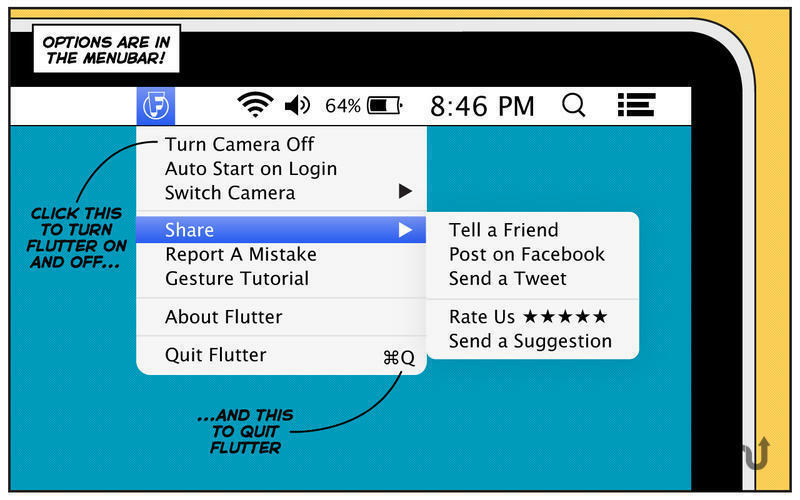 Will Flutter work good on macOS 10.13.4? 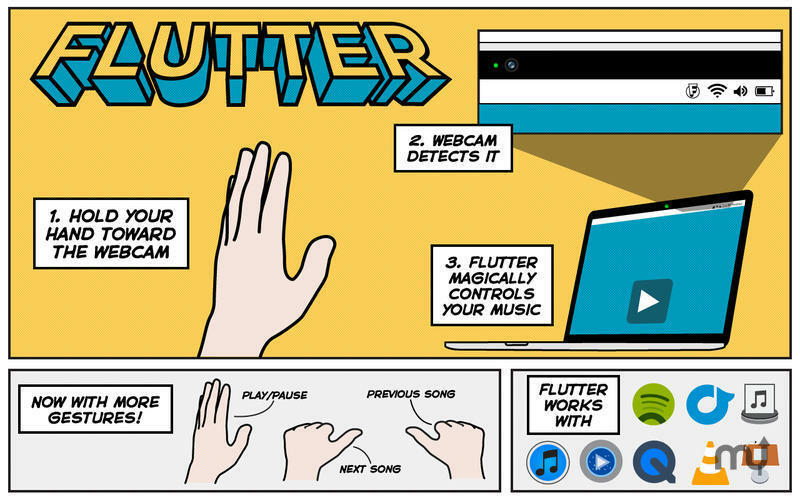 Flutter enables the use of hand gestures to control music and videos via the built-in webcam in your computer. We hated using the keyboard and mouse for controlling music in the background or watching movies on our computers from a few feet away. So we decided to solve this problem.. It works with Spotify, iTunes, Rdio, MPlayerX (most recent version), Quicktime, VLC (more recent version), Ecoute, Keynote, YouTube, Netflix, Pandora, and Grooveshark. Currently it only allows you to play, pause, and skip songs and videos but future gestures are planned.